Follow up throughout the entire claim. Even if there is no new information, customers want to hear about the progress of their claim. Many customers feel uncomfortable or like they’re being pushy if they call to ask for an update. 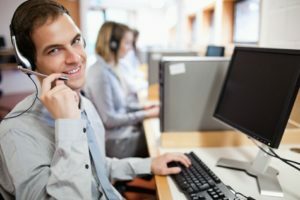 They appreciate when insurance agents keep them in the loop, which improves customer loyalty and the claims experience. Be a point of contact. Insurance claims pass through several hands during the claims process. More than one adjuster may be involved, the claim may go through multiple insurance providers depending on the situation, and scheduling damage assessment on top of all of that can make a customer’s head spin. Let the customer know they can always reach out to you to find out where they are in the claim and what the next step to take is. Make sure they understand their coverage. Just because a customer purchased his or her insurance policy doesn’t mean he or she understands everything about it. Customers may have known the minutia of their policies when they first bought them, but they’re likely to forget over time. Insurance agents should explain their customers’ coverage in general terms until they have all the facts about the claim. Listen to complaints. It is near impossible to complete a claim without some sort of snag or delay. More often than not, frustrated clients just want a sympathetic ear and an apology. Most complaints don’t require more than that and can boost customer retention. Encourage prompt action. Claim delays are one of the biggest sources of frustration for customers. However, they are often the cause of the delay themselves. Pointing this out to them won’t earn any favors, but insurance adjusters can encourage them to respond to requests for documents as fast as possible. This can help keep the claim on track and improve their overall experience. Most customers want and need someone to hold their hand through the claims process. Insurance agents who provide guidance and compassion can enhance the claims process, improve customer satisfaction, and boost customer retention. To learn more about improving the claims process, contact the experts at Actec.